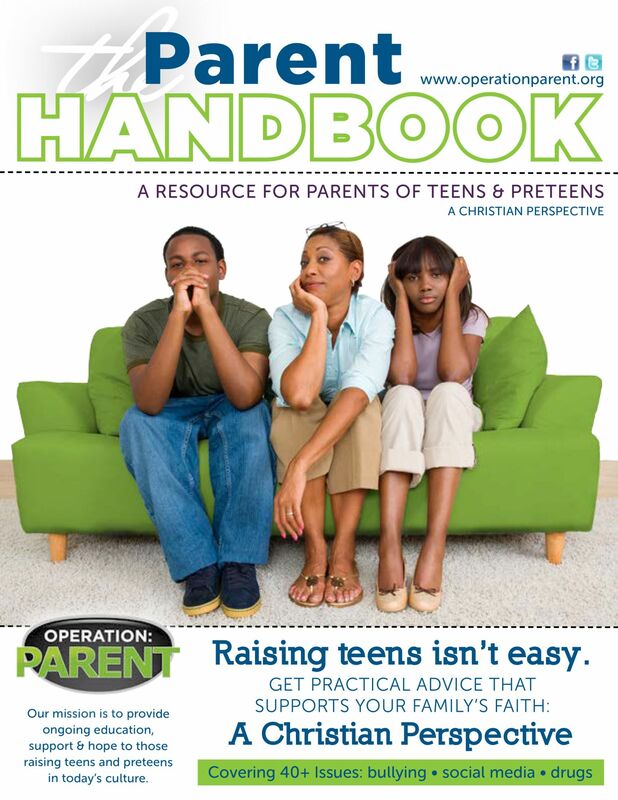 Our Christian edition of the handbook uniquely addresses over 40 of the toughest issues affecting today’s parents and their teens from a Christian perspective. Printed in full color, this 68 page resource raises awareness immediately and educates readers on the latest trends, misconceptions and warning signs associated with each issue, while cross-referencing scriptures on each page. This new and unique handbook is designed to challenge Christian parents, youth pastors, counselors and others to address these issues based on biblical scripture. We understand what it’s like to navigate the challenges in today’s world. We’re here to help.